Working with designer/knifemaker Armin Stutz from the Austrian Knife Forge "Steirer Eisen," Boker presents the Savannah fixed blade. Its design is based on experiences hunting big game in Africa and in cooperation with professional rangers. 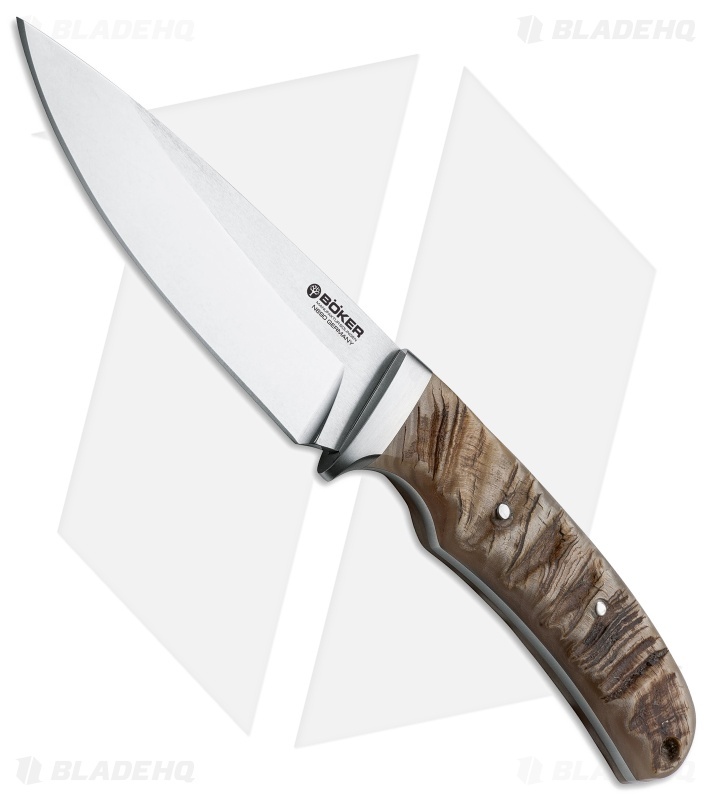 The Boker Savannah has a unique appeal and an elegant design that set it apart from other hunting fixed blades. This version of the Boker Savanna features a full-tang Bohler N690 steel blade with a two-tone satin finish. The handle is outfitted with sculpted ram's horn scales. A premium leather sheath is included with the knife.